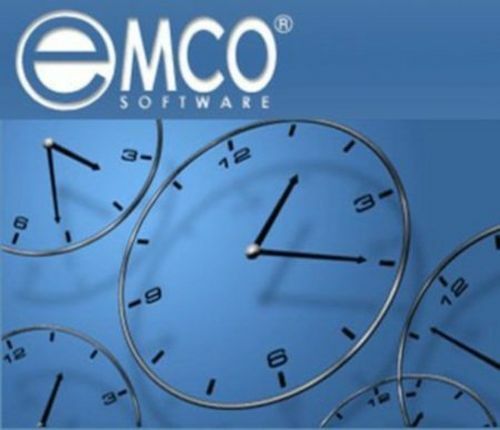 EMCO Software is a leading innovator on the remote administration and management solutions market. Headquartered in Reykjavik, Iceland, we are an international company with offices and operations around the globe. Since the company's founding in 2001, we have been dedicated to providing network administrators with feature-rich, easy-to-use and affordable software and improving productivity of IT departments. Focused on the real-world needs of network professionals, our products are simple to try, simple to use, and simple to maintain while providing the power, scalability and flexibility needed by companies and organizations of all sizes. Our solutions portfolio includes award-winning products targeted at remote network inventory, remote software deployment, remote desktop access and administration, network protection from viruses and malware, network security and health analyzing, remote power management, and remote automation. During a long time, products for remote desktops management, administration and inventorying were positioned on the market as enterprise-level solutions with a prohibitive total cost of ownership. A high price and a big complexity kept many companies and organizations away from those solutions while they have a high demand for tools that can improve productivity of their IT departments. We came to the market looking to change this situation and be focused on the real-world needs of network professionals by providing simple but effective products and making them affordable for companies and organizations of all sizes. Our first releases in 2001 proved that our products, which can be up and running within minutes with no learning and complex configuration to immediately provide remote desktop control over the network, were exactly the solution that network engineers need most. An intuitive interface, valuable real-world features and an affordable price were key factors to our quick market acquiring. After the first big success, our solutions portfolio quickly grew to 35 products that cover various fields of network administration and help automate hundreds of administration tasks. Along with this, there is still a lot of space for improvements, and we plan to further extend our product set to provide best-of-breed solutions. More than 20,000 customers in 85 countries around the world rely on our products every day to take the complex routine out of their network managing. Our solutions help them to remotely manage as many as 2,3 million desktops and 103,000 servers and save millions hours of work and multi-million dollars in total every year. Our worldwide customer base includes dozens of Fortune 100 and hundreds of Fortune 500 companies as well as large and small businesses representing all industries, educational and healthcare organizations, charity and non-profit organizations, and government institutions. As a global company, we have partners all around the world who contribute to our products development, international sales and technical support. We are proud to cooperate with leading distributors and more than 50 resellers from 20 countries who represent our products on local markets. A list of our products represented here. In order to find detailed information about the product, to get evaluation version or purchase you can follow links, specified for each product. An innovative installation editor designed for an effortless creation of MSI packages. It helps you create MSI packages automatically by using the changes tracking technology, or manually by using the visual editor. The application can be used to repackage legacy installations and convert EXE to MSI files in order to customize installers and prepare them for a silent remote deployment. Thus created packages can be deployed through Group Policy or EMCO Remote Installer. This power management software allows you to manage network PCs from a central location and execute remote shutdown, Wake-on-LAN, reboot, power off, hibernate and other operations remotely. You can easily manage any network PCs or groups of PCs with just a few mouse clicks. Remote operations can be executed manually on demand or automatically on schedule, so you can completely automate power management operations in your organization. This visual Wake-on-LAN utility allows powering up one or multiple network PCs with a single mouse click. It is ready to work in networks of any scale and automates WOL operations. It includes features for detecting MAC addresses of remote PCs and sending WOL packets to multiple PCs in parallel. Professional version allows you to extract MAC addresses from DHCP servers and schedule Wake-on-LAN tasks for automatic execution. More effective part of a network administrator's toolkit. One of the tasks form a network administrator's to-do list is to keep an eye on the permissions for network shares and folders not only this but also to set them such that only authorized users have access to sensitive data; and for a large scale networks, it's not quiet an easy task. This utility can help you to search Windows PCs connected to a local network for files that meet specified criteria. You can search for files with specific names or extensions that are stored on remote PCs in order to detect dangerous files or files that violate copyright or compliance regulations. Search results from all PCs are represented in a single view, which allows you to export search data, and copy, move or delete found files, as well as check them for viruses. An integrated network antivirus solution to protect your network from all kind of malware. It allows you to scan PCs in your network silently and remotely to detect and cleanup from over 10,000 viruses, trojans, and other malware. Network virus scan takes just few seconds per PC and can be performed on multiple PCs in parallel, so you can scan entire network for viruses in few minutes. Up-to-date virus database guarantees detection of latest threats and your network protection.